Another aspect of his education that he appreciated was the quality of the education for the value. “Teachers told us, ‘You’re going to learn the same concepts that electrical engineers will learn in college, but for a lower cost,’” Proskey says. One of his favorite classes was electrical construction. “Bending conduit and pulling wires, that was really neat,” he says. In February 1996 he graduated with a full complement of skills necessary to succeed in the electrical industry. 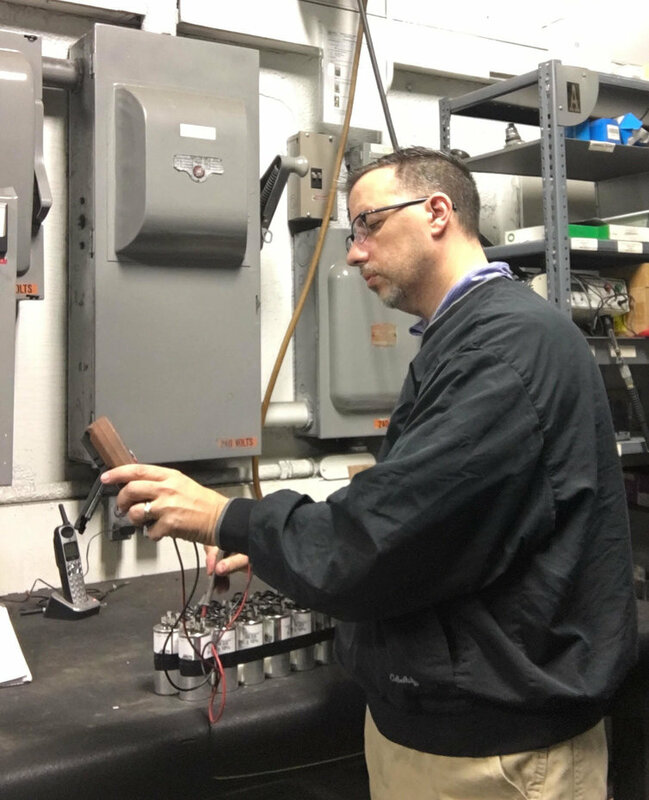 Proskey held a few different electrical jobs after graduating from Coyne before returning to school for a bachelor’s degree he needed to be eligible for managerial roles. Ray currently works as a product manager for Kay Industries in Plymouth, Indiana, a company that makes phase converters. He oversees any changes that are made to the products and uses his electrical knowledge to make sure they run the way they are supposed to. He enjoys his current job because he’s not tied down to a desk and he’s constantly working on things and learning. He also likes having electrical knowledge. “If you have that knowledge, people look at you like you’re a step above,” Proskey says. Working as an electrical tradesman also presents plentiful networking opportunities. “It allows you to get your foot in the door for other positions,” he says. 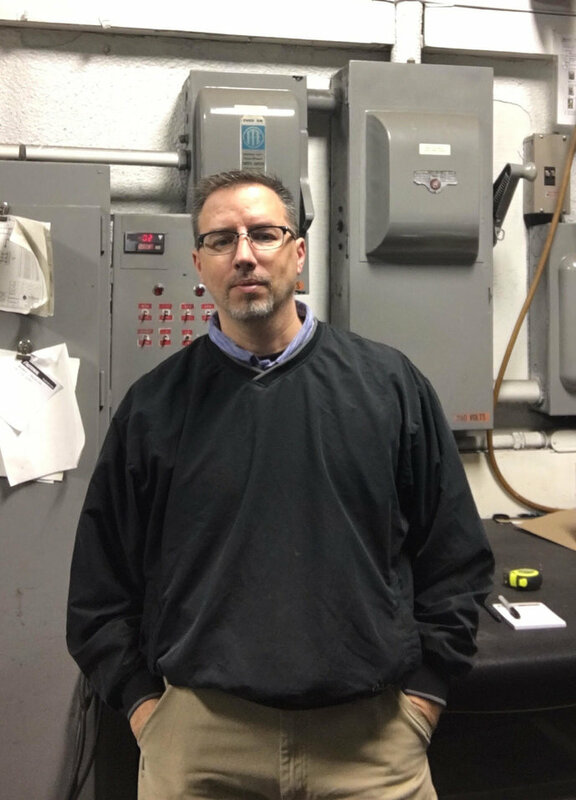 “I currently supply equipment for machines that I have worked on in my previous jobs.” When he’s not working, he enjoys playing guitar, traveling the Midwest and spending time with his wife of 21 years and his two daughters at their home in Culver, Indiana. He also likes to paint from time to time. 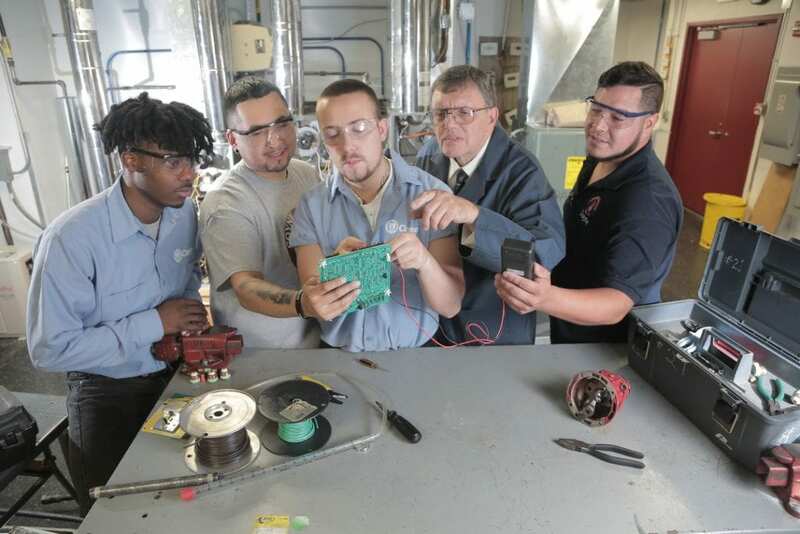 If you’re considering an in-demand career as a skilled electrical tradesperson, look no further than Coyne College’s electrical education programs. In the Electrical Construction and Maintenance program you can earn a diploma just like Ray did in as little as 42 weeks. Additionally, the Electrical Construction and Planning program awards you an associate’s degree in as little as 78 weeks. Both programs qualify you for entry-level work in an industry projected to see 9 percent growth through 2026, according to the Bureau of Labor Statistics. For more information or to speak with an admissions representative, log on to www.coynecollege.edu today.